Last month, phase 1 of the MRT project launched to a promising, if quiet start. Prime Minister Najib Razak made his announcement that the first month of rides will be free, and #jomnaikmrt trended on Twitter for a couple of days with curious netizens checking out the long-anticipated Sungai Buloh–Kajang Line since day-1 of the launch. 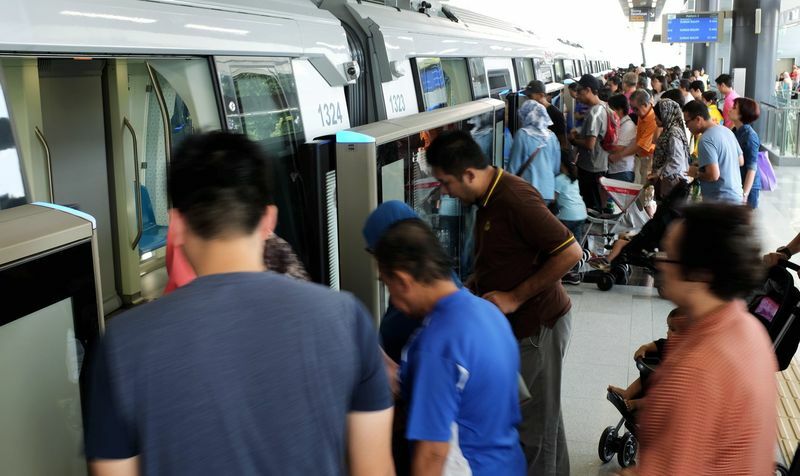 Of course the inaugural runs of the new train line hit with some expected bumps like the speed of the doors closing, but even a cursory glance of the #jomnaikmrt hashtag now proves that the train at the very least, runs as it’s supposed to. It should be noted that the MYMRT line has seen dissension and controversy even from the get-go. There was some contention with the government handing the project over to Prasarana, as many Malaysians have noted that their track record has not been promising. There was also a question about priorities. Some asked why is the government embarking on this multi-million ringgit project when the existing public transport infrastructures still need work? Despite all of this, phase 1 was completed at RM21bil, 2bil below their budget and administration is happy to move on to the next phase. Then, he added that the government had in previous reports stated that the entire project would cost around RM40 billion and this was echoed by Najib in Dewan Negara when announcing the 2011 Budget. 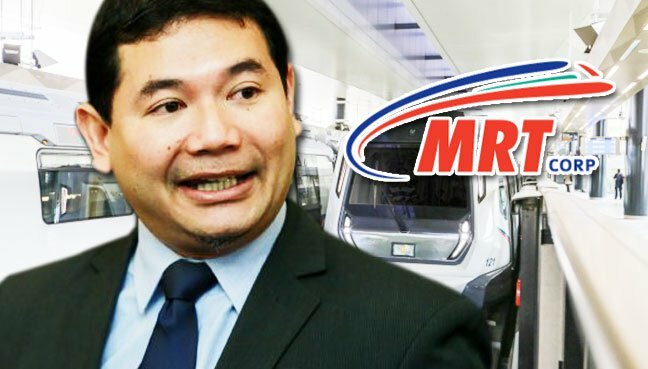 Not even two weeks after the MRT has begun operations, Rafizi captured political headlines again with his claim that the MRT1 project cost RM7bil more than what Najib claims. In his rebuttals, Rafizi referenced an older report that confirms that the total “construction cost was RM28 billion, inclusive of the consultancy fee paid to KVMRT”. To make his point heard, Rafizi reportedly held daily press releases. According to Rafizi, the RM21 billion cost that was previously announced is also double the cost of similar projects in Spain and South Korea in the same period. The Barisan team spared no time in coming with a response to Rafizi. In their rebuttal they stated that it seems that Rafizi got his figures from an anonymous offline blog called “Pedestrian Obser­vations”, where even the blog admits that “large errors crop up”. “Unfortunately, YB Rafizi ignored this warning and used this information in a press conference in yet another failed attempt to accuse the Government,” said the team. That being said, the Barisan Nasional team had apparently previously said that the project cost US$152 million per kilometre before amending, and both numbers were much higher than what Rafizi claims. Rafizi still tried to defend himself after that debacle, apparently claiming that the Seoul project was completely underground even when it is not, which led to Barisan Nasional “call(ing) on Rafizi to stop embarrassing himself any further after being repeatedly exposed and admit his failure and deceit”. Failing in his first play into discrediting the railway project, Rafizi brought up another issue that is harder to dispute. According to Free Malaysia Today, he said that “by 2022, Prasarana’s debts would skyrocket beyond RM70 billion and will involve an annual interest payment of RM2 billion after it takes over MRT and its debt”. 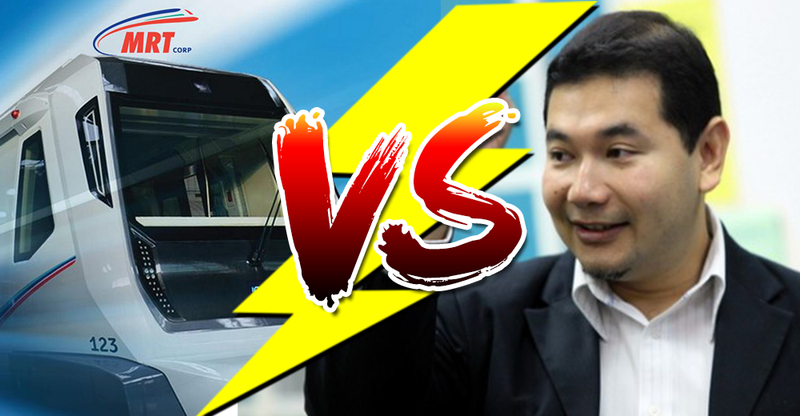 Rafizi also added that being a government-affiliated company, Putrajaya would bear Prasarana’s losses. “At the end of the day, the debt would be passed on to the people, which could lead to an increase in the GST and ticket prices,” he said. These statements have yet to be refuted by any Barisan Nasional spokespersons. Following Rafizi’s Prasarana comments, the netizens have added their own two cents to the controversy. 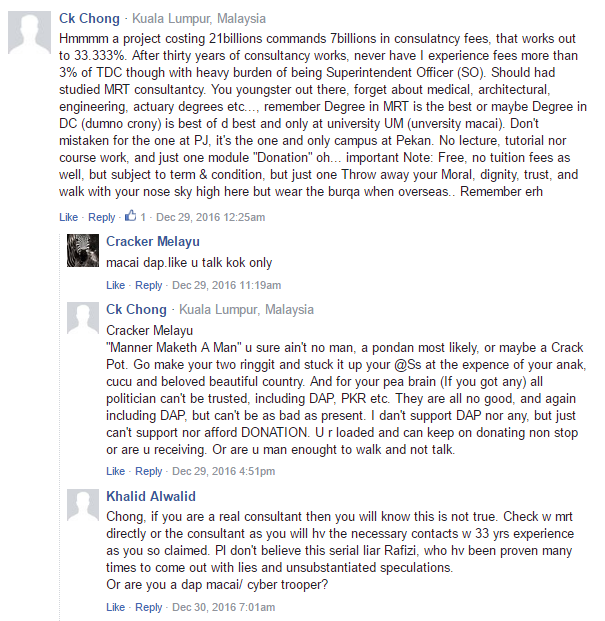 Comments on the Prasarana article. Netizen impressions are mixed. 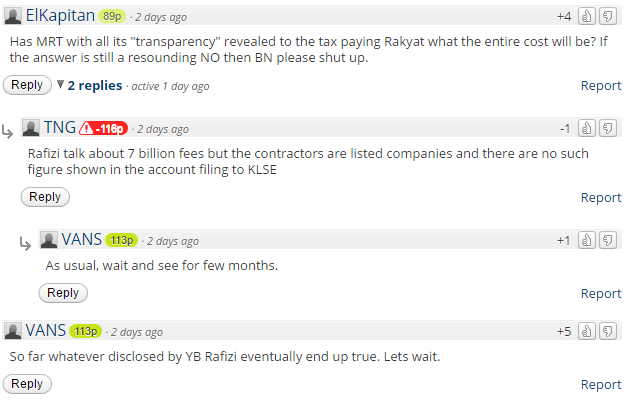 Another netizen, referring to Rafizi’s RM7bil statement had an interesting observation to make. CK Chong’s outlook on the consultation fees. Not all of the comments were just negative against Rafizi however. 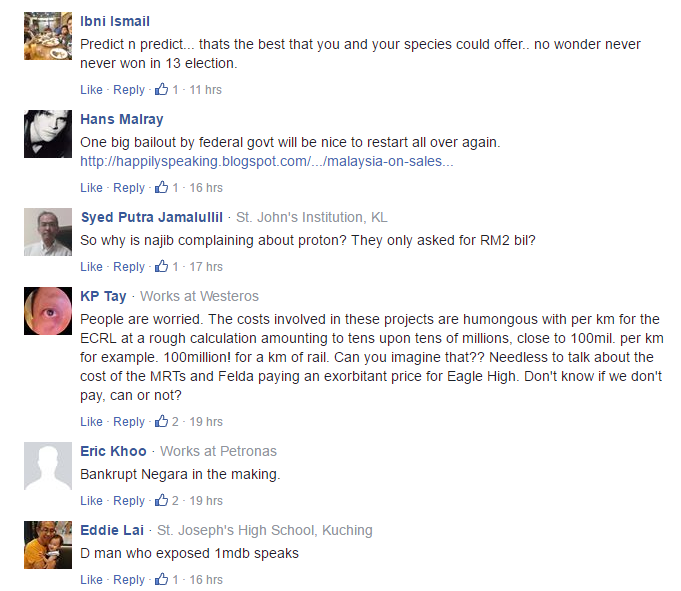 Comments about BN on Free Malaysia Today. With good points made by all parties, and also questionable points, it seems like this MRT debacle will be ongoing for as long as there are more railroads to build and maybe even after.